An Entertainment® Fundraiser includes many great benefits! A high dollar profit per unit purchased, so you can get to your goal quickly. Popular, in-demand products that supporters know and love! A free customized sales website so your group can sell online! Perfect for sharing on social media, and for out-of-town sales! 4 Ways to Save! 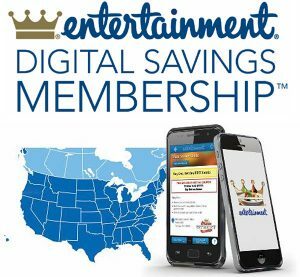 Entertainment Book, Entertainment.com, Mobile App and 20% ongoing savings at the places you love! Let us help you select the fundraiser that is best for your group! Print offers online or show your phone to save at 1000s of restaurants, stores and attractions near you and wherever you travel. 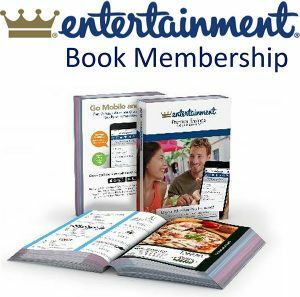 The classic Entertainment Book® contains $1000s in savings inside… PLUS a FREE nation-wide mobile coupon app! NEW! Boost your fundraiser with Raisy – your own personal online storefront! Supporters purchase the products they know and love, we ship the Book for Free and your group earns credit!